Saturday, Oct. 13, 2018 at Wake Forest University's BB&T Field. Legendary musician Billy Joel returns to North Carolina to perform at BB&T Field at Wake Forest University on Saturday, Oct. 13. 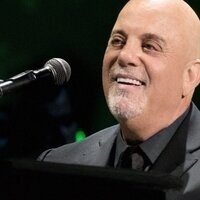 This performance will be Billy Joel’s first stadium concert in North Carolina and only Carolina concert in 2018. Tickets can be purchased at Ticketmaster.com or the Greensboro Coliseum Box Office. Click here for tickets.